The launch of the new student accommodation at Dorset House took place today in glorious sunshine. Those present at the launch included representatives from business and the community, including guests from London Court, McMaster House, Latimer Road, Latimer Grange, Highfield Residents’ Association, New Headington Residents’ Association, the Co-ordinating Committee of Headington Residents’ Associations and Ruth representing our ward councillors. Berkeley Homes built the development which is owned by Ali International and overseen by JLL Bank, and CRM manages the accommodation. 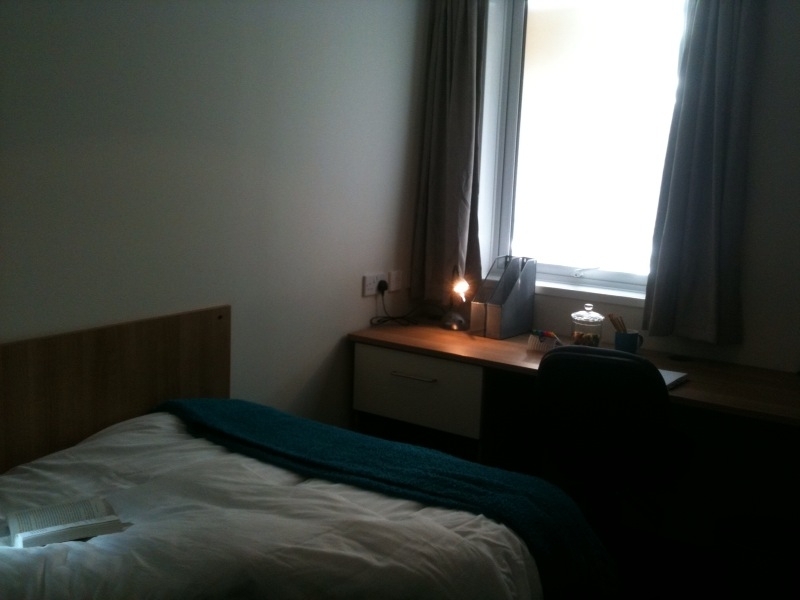 We were given a guided tour of some of the student rooms, 75 of which are already occupied. David and I have ensured that the new management team have the necessary contacts for police, community response team, and other useful contacts. One of our Latimer Grange residents has already made friends with two of the new students and they wave to each other from their flats! This augurs well for integration with our community. It’s now possible to walk in and view the new student accommodation at Dorset House, the entrance is via Latimer Road. the Workers Education Association to sign an agreement with Green Square to develop and run a series of courses for their residents. skills. The soon to be constructed social/affordable housing at the Manor Ground will be managed by Green Square. Ruth attended a meeting of councillors with Oxford Brookes University staff on Monday evening. Items discussed included the deployment of the six student community wardens, and updates on student accommodation and campus development. 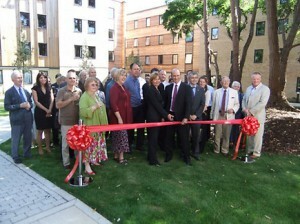 The completion date for the Dorset House development is early August 2012. Ruth raised issues including cycling education, visits to the lonely elderly by Brookes student volunteers, and making sure communication channels with student tenants are effective when we facilitate meetings about construction access to development sites near where they live. 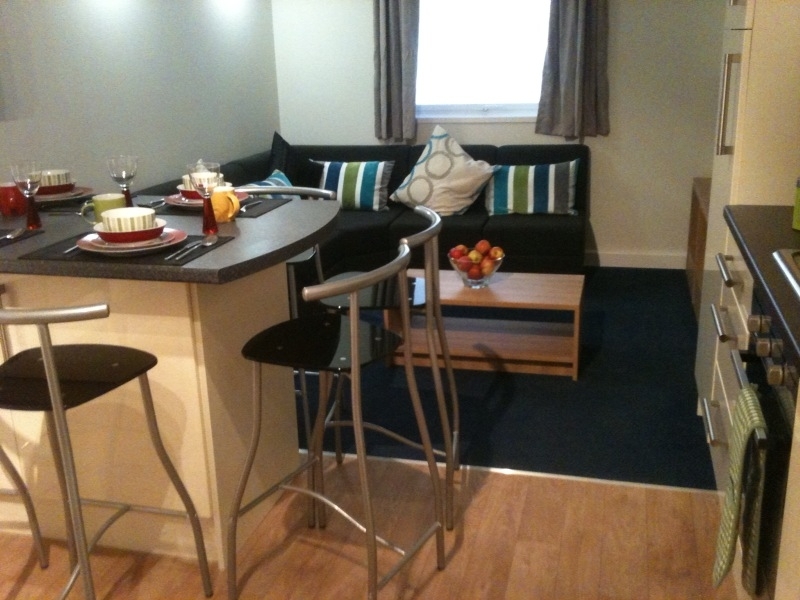 Do let us know if you require any more details – happy to fill you in! 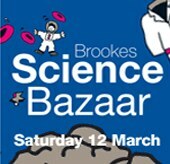 Spaghetti skyscrapers, rocket derby, amazing butterfly colours……….Brookes Science Bazaar is back and promises to be bigger and better than ever. The science-based, family fun day will take place on Saturday 12 March, from 11.00am to 4.00pm at Gipsy Lane site. There will be a host of new hands-on activities and one or two of last year’s favourites aimed at chidren and their parents. For the first time this year, there will be special activities for the under fives. All activities are free and there is no need to book in advance. Please be aware that all children must be accompanied by an adult at all times. Workshops will run throughout the day and will offer the chance to get hands on with a praying mantis, design a rocket and more besides. Workshops can be booked on the day and there will also be several drop-in sessions ranging from a chance to study the beauty of butterfly wings to the gory history of plagues and diseases. There are often misunderstandings about student numbers in our area, so I am posting up the latest Oxford Brookes University submission to Oxford City Council for student numbers in 2009-10. These are figures produced for HESA, and HESA’s definition of a full-time student is one who studies for a minimum of 24 weeks. Pedestrian crossing lights outside Brookes are a trial! We have received enquiries about the duration of the pedestrian lights outside Brookes, and there have been reports that they ‘switch themselves on’. Sure enough, we learn from the County that, as part of the traffic management scheme of that section of road, the pedestrian crossing has been designed to revert to all red if the frequency of vehicles approaching the pedestrian crossing falls below a certain level. A red light will be shown to both the traffic and pedestrians until such time as a vehicle is detected or a demand at the crossing is made which will initiate the appropriate change in the lights. We are told this is a trial – let us know what you think! As you will have seen in the local press, the revised application for the new Library and Student Building of Brookes on Headington Road received permission from the Full Council on Thursday. The vote was 24 in favour and ten against the application. For most of the time, the discussion concentrated on planning aspects of this application. The pros and cons of having a large student population in the city are live issues, but not ones which could be taking as planning reasons in making a decision on this application. I must say that through the debate I felt the planning arguments were finely balanced: there are many positive elements to the application, including its frontage onto Headington Road and the intention to be as eco-friendly as possible, but there do remain problems in terms of the impact on the nearest neighbours on Headington Hill. That said, what we had to bear in mind was if the application was refused by councillors, what would a planning inspector decided if, as was likely, it went to appeal. I could not, in the end, convince myself that an inspector would see the single reason of overbearing as sufficient grounds for refusal and so I voted for the application. What I argued is that we have to make sure that the conditions are as full and as water-tight as possible, so that significant post-permission changes occur. That point was broadly accepted and I think what we must do now is move forward and look at ways of further improving the engagement between Brookes and the rest of the community — something which I believe the university is keen to do. I talked to some of the objectors afterwards and, while disappointed, they certainly felt their concerns had had a fair hearing. I know some people would had preferred the decision not to have been made by all councillors but I stand by my belief that an application as important as this is best decided in as open a way as possible, and that is what happened on Thursday.